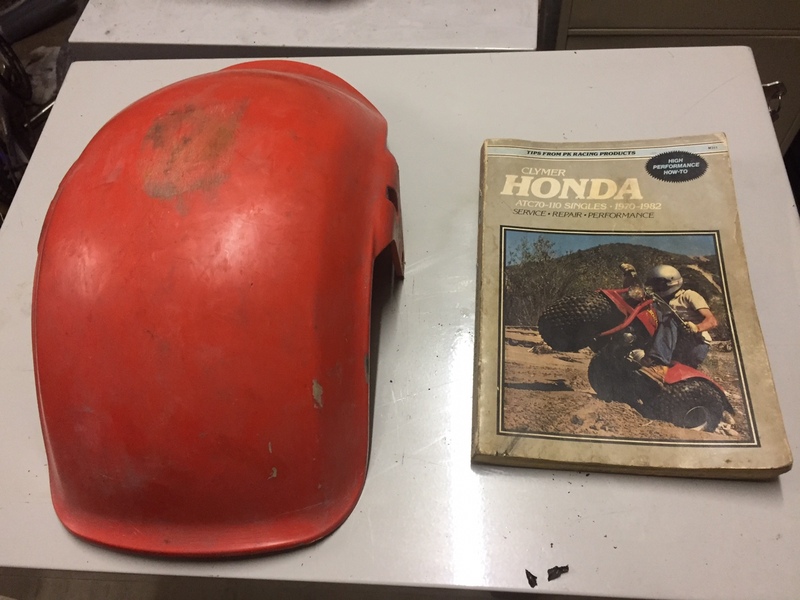 So tonight I managed to pick up a k0 atc 70 front fender and a clymer workshop manual. I'm a great believer in Calma. I don't mean to toot my own horn but often I send people small odd parts I don't need or will have no use for and just ask them to pay shipping. It's all about helping out fellow trikers. So the context of tonight's score. A bloke contacted me offering me 3 70's and we worked out a price and I picked them up. A few months later he messaged me saying he had a spare fender he found off the trike and a book to suit it. He was happy to give them to me as I was a straight up buyer that didn't stuff him around. I picked them up tonight and I couldn't be happier. Moral of the story, pay it forward people when you can and it will work your way too.